I had the pleasure of meeting Susannah Kate last spring at the first ever Sew South Retreat. 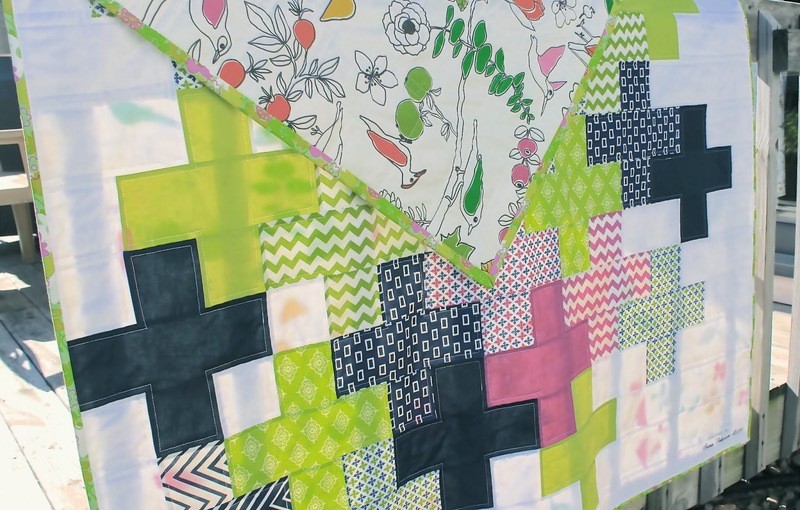 Her new quilt pattern is great for beginner and advanced quilters alike. It goes together quickly, but is also fun. The directions are clear and concise. Best of all, the result reminds me of one of the greatest games of my childhood: Tetris! 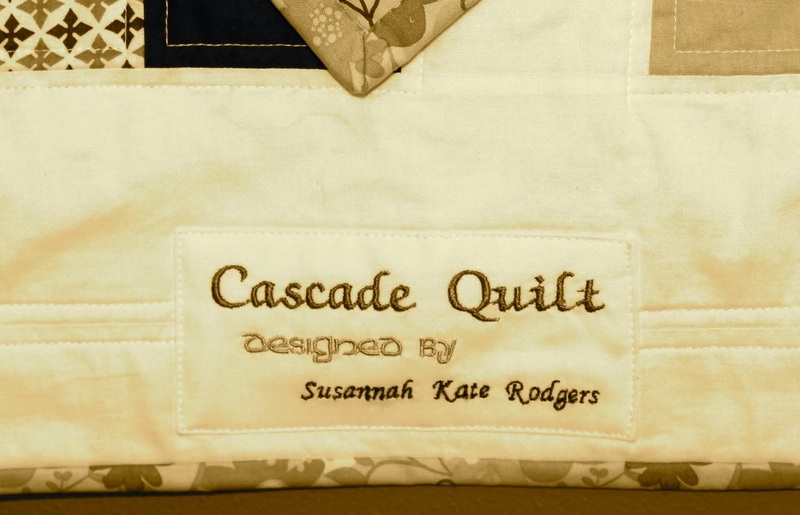 The Cascade Quilt pattern is now available for purchase in Susannah Kate's Etsy shop, https://www.etsy.com/shop/SusannahKateSews. 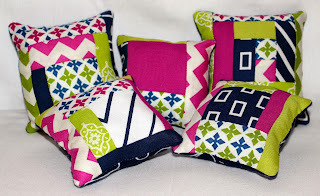 She has generously offered to give away one pattern at each of the stops on our blog hop. The first reader to post a comment at the end of my post will receive the pattern for free in PDF format. 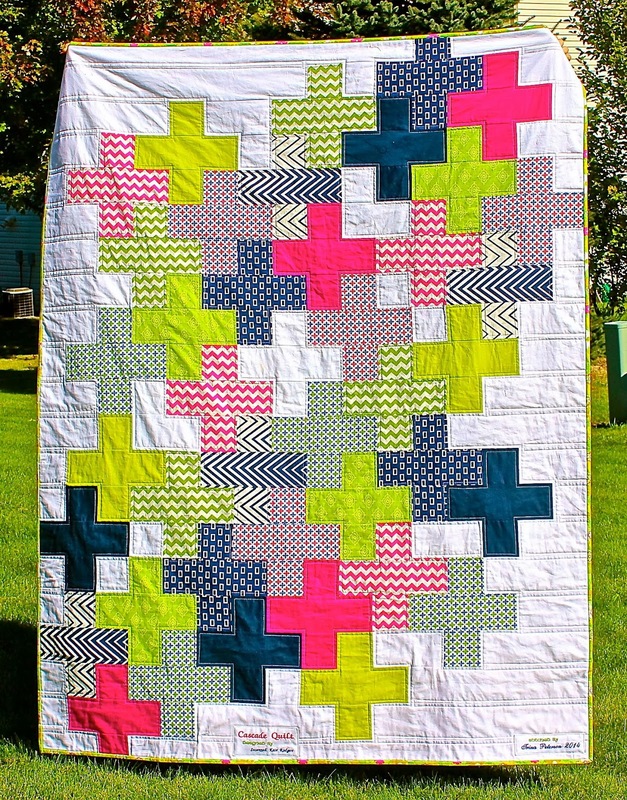 There are 10 stops on our Cascade Quilt Blog Hop. This is the first! The schedule for the rest of the hop is below. 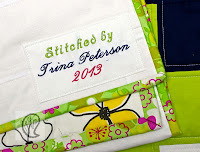 Please stop by to see pictures of everyone's own special version of the Cascade Quilt. 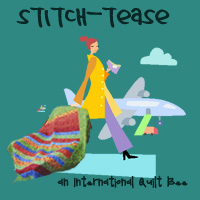 If you don't win the free pattern here, maybe you can snag it at another participant's blog. Susannah Kate's pattern leaves few scraps behind - the sign of a conservative quilter! However, with the little pieces left over, I put together a few fun pinnies. 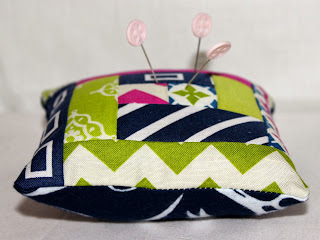 Click here to see my quick tutorial for a Log Cabin Pin Cushion you can make with your scraps. Click here to download the tutorial in PDF format for free! What a fabulously creative approach to a + quilt! And I just love to colours chosen for the one you're showing here. Whoa. I was totally looking at my scraps thinking I should make pin cushions today. Look no further I will use your tut and link back to you! :) Thanks!!! ps. Thats a pretty rad version of a + quilt. Props to your friend. Thanks Wendy :) Let me know if you run into any hiccups. I hope I didn't mess it up! Your quilt turned out perfect. It's such a fun pattern. Thanks Di! Can't wait to see your post. Love the colors you used, Trina! And the pinnies are adorbs! This looks a great pattern - I love the colours you used! I will share this with 'the girls'!